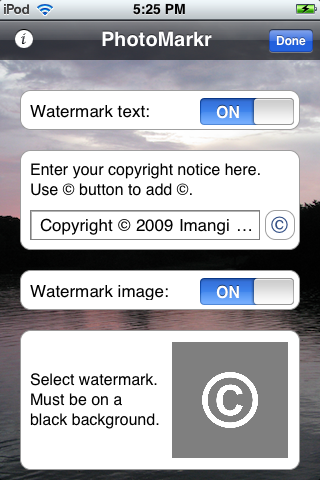 PhotoMarkr lets you add your personal watermark to your iPhone and iPod touch photos and screenshots. This is a great tool for all photographers who like posting their work online. 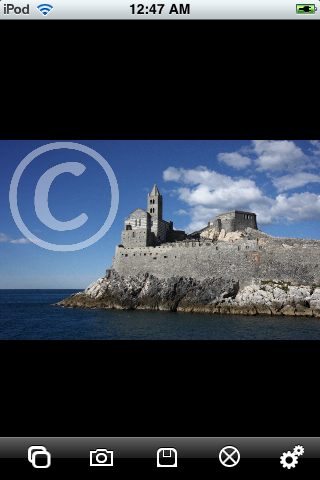 Just set it up once, and then apply your watermark to any photo with the click of a button. 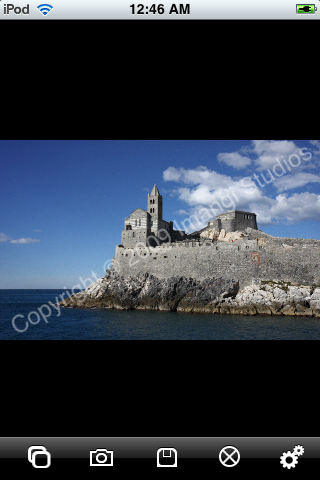 PhotoMarkr always saves a full-res original, and a full-res copy of your photo with the watermark applied. - Fixed crash which happened under iOS 5. - Fixed a number of small bugs.